Kwame Alexander is a poet, and I am not. Not that I don’t love poetry, but I am just distressingly left-brained. A mystical friend of mine once visited us when we lived in Kentucky. She walked out my back door, took in the spectacular view, flung out her arms, and made up a poem on the spot. I was awestruck—first, because she could put words together so beautifully, and second, because she had the chutzpah to say them right out loud. Can’t you just feel the dew on your feet? Ekua Holmes has filled the volume with bold, earth-toned paintings. At the end of the book, there is a short bio for each of the featured poets– home educators and teachers, take note! There are such riches here for mining. Your students could read the original poets, then the Out of Wonder verses. What did the new poet see that made him write his poem as he did? Of course, the next part is having your kids write their own poetry. Some are ancient poets—history! Some are from far-flung parts of the globe—geography! 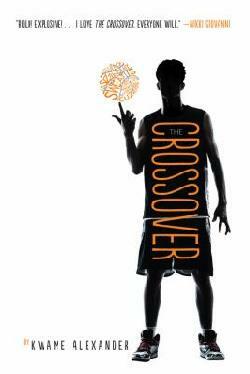 This is one of the many new titles out from Kwame Alexander. He is a Renaissance man! Be sure that your children make his acquaintance soon. Kwame Alexander won the Newbery Medal in 2015 for his earlier novel, The Crossover, about twin boys who love basketball. His new novel in verse, Booked, is about twelve-year-old Nick, who is crazy about soccer. Nick’s parents both love him, but they’re not sure that they still love each other, and his mom is away a lot with her work. His dad, a linguistics professor, is passionate about Nick’s education, and is forcing him to read the entire dictionary! Besides wrestling with his parents’ expectations, Nick is struggling with bullying at school. His best moments come when he is on the soccer field, winning games and practicing the moves that he hopes will impress April, who seems quite willing to be impressed. Alexander has accomplished seemingly impossible feats in these two novels. First of all, he has written realistic novels that boys actually enjoy! So many books for boys at this middle-school level are fantasies, since the most avid readers at this age devour enormous sci-fi fantasies one after the other. This is just a small minority of kids, though, who are doing most of the reading, so enticing reluctant readers with the realistic stories that they prefer shows that Mr. Alexander knows kids and wants to give them stories that resonate in their lives. Secondly, the fact that these stories are written in verse is stunning. Imagine reluctant readers loving poetry for fun! The free verse sets the pace for the meaning, with long lines for emotional passages and short, zippy lines that fly down the page for soccer scenes and breezy reading. The chapters often read like rap songs, bopping along to a beat. BEA 2016. I swear that I don’t give Kwame great reviews just because we are such good buds. Finally, though, Alexander joins a small group of new authors speaking in a voice that has long been missing from African-American children’s writers: the average, middle-class, twenty-first century kid. So many African-American children’s books are depressingly didactic. It’s not that they’re not high quality; some great works of literature reside on these shelves. However, most books written for or about African-American children take place during the time of slavery, the Civil War, or the Civil Rights era. Contemporary stories often deal with troubled inner cities, drug addiction, or gangs. All of these topics are important and need to be remembered or addressed, but we all need a broader view of this community, and especially of young, black men. If those of us who are not African-American only hear of them as “troubled youth,” we will continue to view them suspiciously as “Other.” And in the meantime, what the twelve-year-old African-American boy down the street is really worrying about is whether he’ll pass Friday’s math test or whether his parents will get a divorce. Just the usual stuff of life: school, sports, girls, parents. Just like everybody else. Because, really, isn’t that enough for a kid to handle? It’s this deep understanding of kids’ lives, what worries them and what thrills them, that makes Kwame Alexander’s novels appeal to all kinds of kids everywhere. And if they come away with a fascination for poetry, even better! Josh and Jordan are eighth-grade basketball stars. Twin sons of a million dollar basketball legend, their lives revolve around games and practicing for games. Lay-ups, free throws, and crossovers, the boys’ dad keeps them on it, while their mom—who is also the school principal— makes sure that they keep up their grades. One day, the guys find a document that reveals the reason that their dad quit playing years ago, and it helps them to understand why their mom is so upset that he won’t take care of himself now. When Jordan gets a girlfriend, Josh loses his best friend, and with his parents’ secretive whispering, he feels very alone. He continues to excel in school and stay committed to the team, but inside, his world is falling apart. Written in verse that reads like rap, Kwame Alexander has crafted a novel that will resonate with sports-loving boys. Quick, powerful, and relevant, this is a great read for even reluctant middle-school readers. I particularly enjoyed the fact that the main character is academically gifted as well as athletic. Alexander explores adolescent changes through a loving family and the closest sibling relationship possible. Although sports stories are not my usual taste, the ALA Youth Media Awards are coming up in a few days, and this one is getting lots of buzz. Furthermore, I enjoyed Kwame Alexander’s remarks on diversity in children’s literature at the SLJ Day of Dialog in New York last May. So glad I read this novel; it was well worth it. Recommended. Update February 2, 2015— It’s a winner! The Crossover just won the ALA’s Newbery Award for most distinguished contribution to children’s literature. Congratulations, Kwame Alexander!